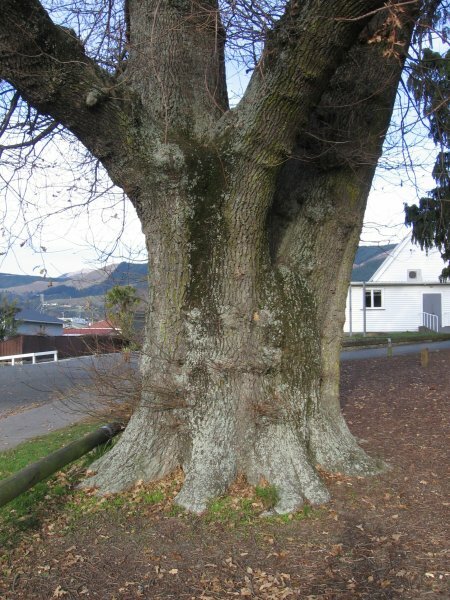 This English oak tree, known by parishioners as the 'Courting tree' stood at the entrance to the Anglican Holy Trinity Church grounds near the Richmond town centre. 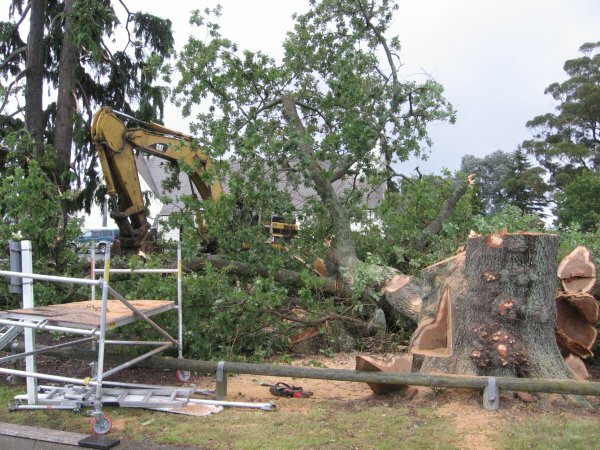 The tree was nearly 100 years old when it was controversially cut down early on Saturday morning the 5th of March 2011. 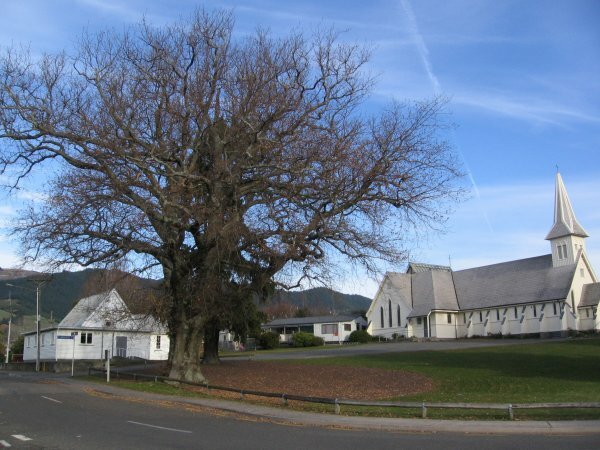 Despite the entreaty of many of the local arboricultural professionals to retain the tree the Church chose to take the advice of a West Coast bushman who recommended the tree's removal on the basis that it was rotten and dangerous. Subsequent inspection of the stump and wood found there to be no decay present. The wood was sent to a saw miller. 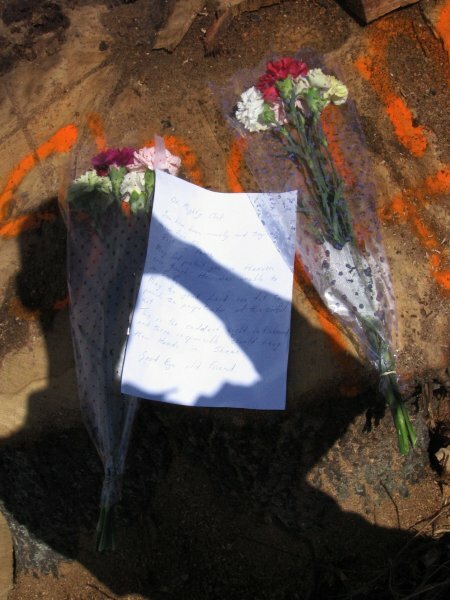 Flowers and letters of sadness and shock at the removal of the tree were left on the stump over the following week with one person commenting "That this was the saddest sight in Richmond. Those responsible should hang their heads is shame." Over the following weeks many letters of dismay were sent to the Editors of local newspapers. At the time of writing, the Holy Trinity Church has less than half the money required to build the centre and has still to apply for building and resource consent to proceed with their plans. (April 2011). As of September 2017 no development has yet taken place on the vacant site (NZNTT). The tree was in excellent health. Inspection following removal revealed no decay in the stem. A stable bifurcation of two stems at 1.5m. 06 Jul 2011 Cadwallader, B.G.